1969 REPUBLIC OF LIBERIA ONE DOLLAR COLOR TONED COIN IN HIGH GRADE !!! Liberia 1 Dollar 1962. KM#18. .900 Silver One Crown coin. UNC. MS. 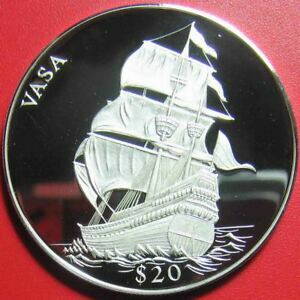 Details about 2000 LIBERIA $20 SILVER PROOF "VASA" SWEDISH WARSHIP LEGENDS OF THE OCEANS RARE! 2000 LIBERIA $20 SILVER PROOF "VASA" SWEDISH WARSHIP LEGENDS OF THE OCEANS RARE! 1969 LIBERIA 50 CENTS BU PCGS PR65CAM COLOR TONED ONLY 1 GRADED HIGHER!